I'm trying to display image wrapped by text, but I'm not able to align them exactly. 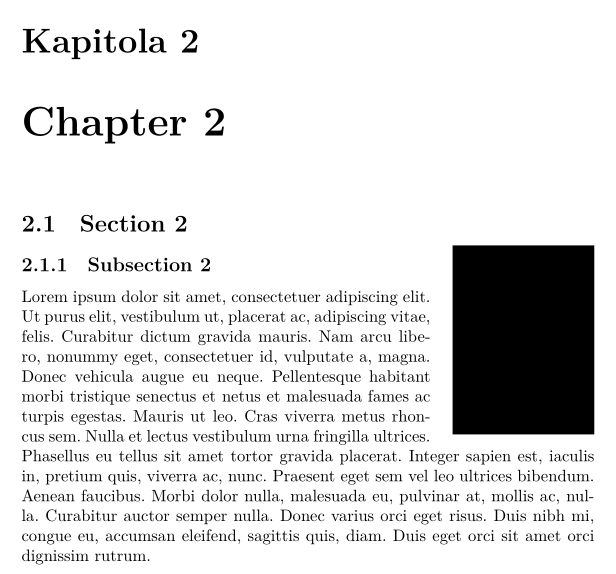 Image is always rendered one line below the begin of text block. 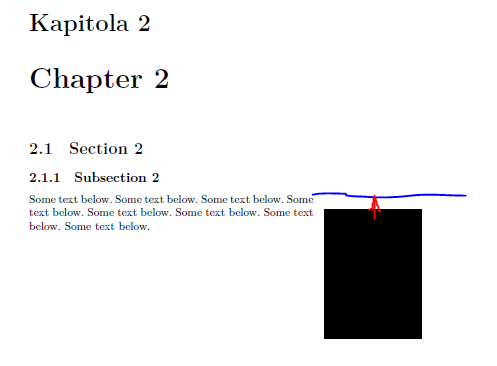 Additionally, it's displayed line below even when I want to align it with the \subsection. with additional requirement for \wrapfigure width detection? Full non-working code and screenshots describing observed and expected behaviour are below. Some text below. Some text below. Some text below. Some text below. Some text below. Some text below. Some text below. Some text below. 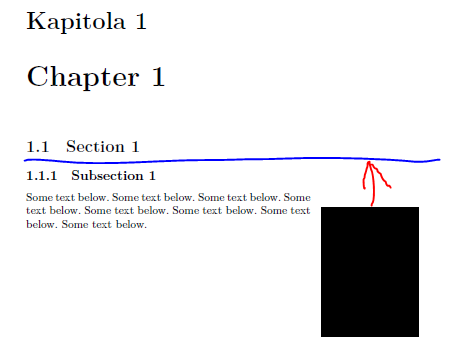 You can set \intextsep to 0 to align with the first line of the paragraph. To move it more up in e.g. a heading use \raisebox and hide the real height with the option argument. Be aware that a long heading will be overwritten by such an image. Not the answer you're looking for? Browse other questions tagged xetex wrapfigure alignment or ask your own question.